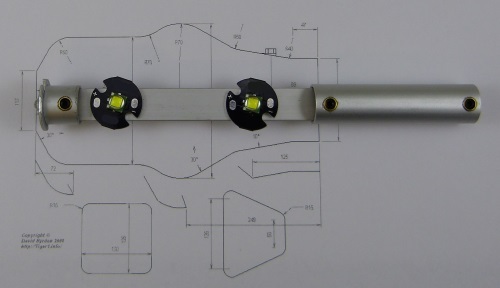 RC Tank muzzle flasher for barrel insertion. Muzzle and muzzle braker are FULLY eluminated. Due to internal reflections best surrounding effect. Nearly no influence of view angle. !!! Up to 50W LED light power !!! Example for Tiger tank double muzzle brake installation (5x Leds). Watch LED allignment with the side chambers.